Pushing a Docker Image – I need NBN NOW! I’m doing a docker push of a Magento 2 Docker image and… it is taking… more time than necessary. The NBN project in Australia is moving like everything else in Australia – slowly. 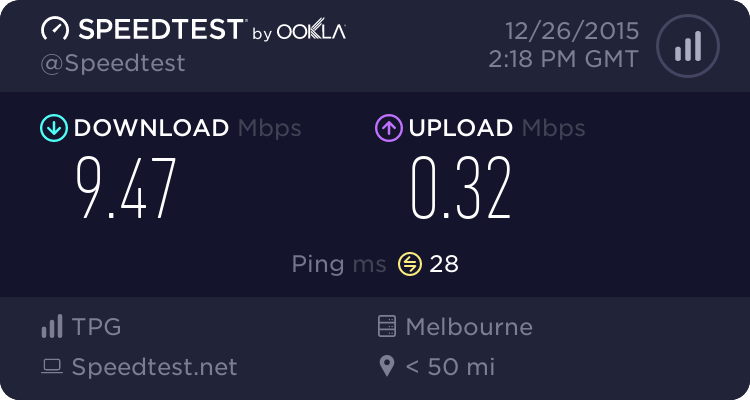 I’ve already enquired to Optus if I am able to get cable – answer was a rather roundabout no, since I am in a block of multi-level units where they don’t have reach. I’ve just checked on their site and apparently the good news is that the construction has commenced in my area: Construction of the nbn™ network has started in your area. Hopefully in 2016 I can get on the NBN to get some proper internet speed!